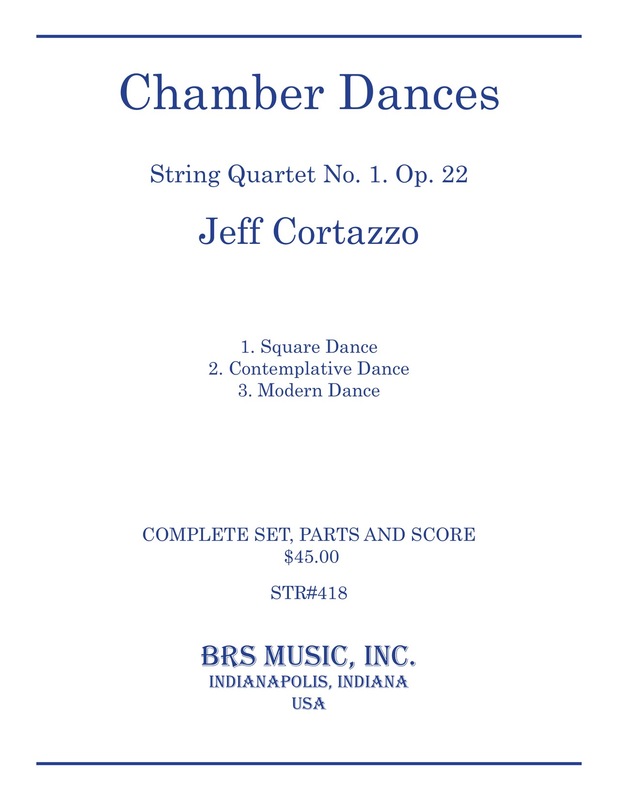 Chamber Dances for string quartet was composed in July of 2016. The music in each of the movements is loosely derived from the titles. In the first movement, Square Dance, the melody is at times quite chromatic at other times open sounding, consisting of melodic fourths and fifths. The second movement, Contemplative Dance, is music by which to meditate; partially aleatoric, it utilizes the full range of the quartet both in terms of range and dynamics. The third movement, Modern Dance, is erratic and angular, evoking a modern dance sequence. The composer employs a tone row, multi-layered ostinato and powerful rhythmic unisons.